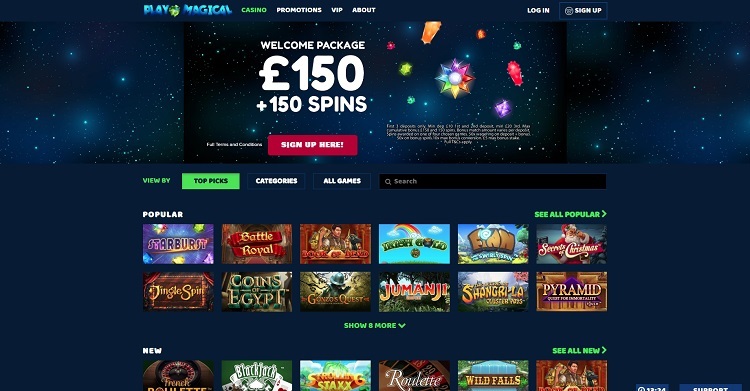 Yggdrasil Gaming was founded in 2013 and now have a raft of online casino and gaming options available. 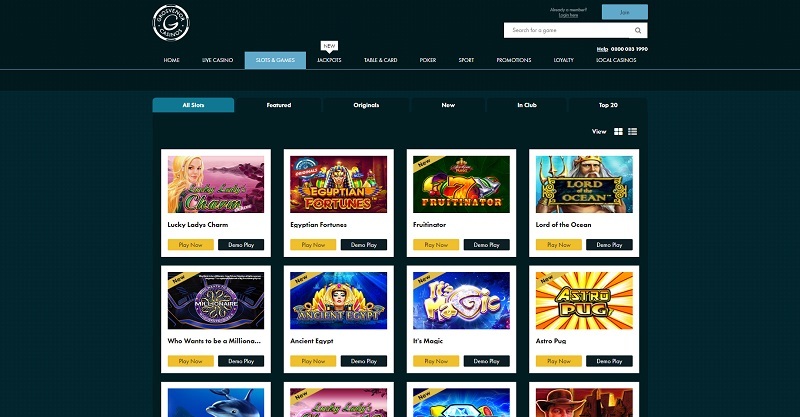 The name might be peculiar – it means a huge mythical tree that brings together and connects Norse Cosmology’s nine worlds (obviously) – but there are plenty of excellent slot games for you to choose from. Does it become clear why they chose Norse mythology to build their gaming identity around? Not exactly, but that doesn’t stop them offering some of the best casinos online. Yggdrasil are an award-winning team, having won the Innovator of the Year at the International GA in 2018, as well as the EGR’s RNG Casino Software award. 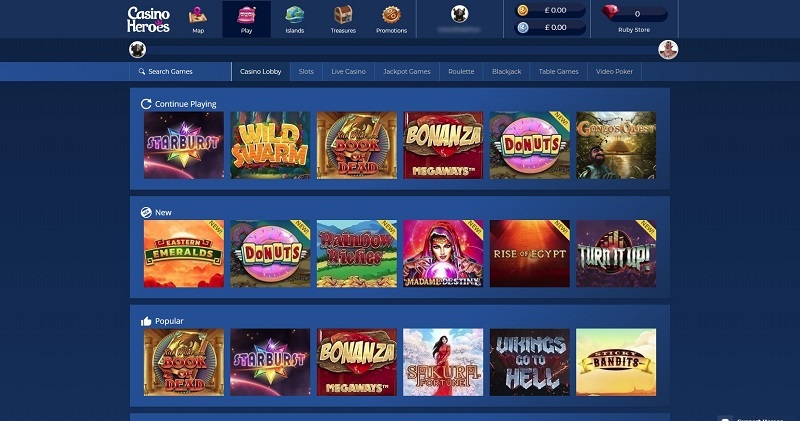 They offer 50 slots games in their library, but there are plenty of new options added to hold your attention, and the 50 that are available are some of the best around. They offer games such as Vikings Go To Hell and Gem Rocks from the last couple of years, which you would expect from an outfit who are only just past their half-decade. One of their top rated casinos is PlayOjo, which is has some of the best casino bonuses on offer. 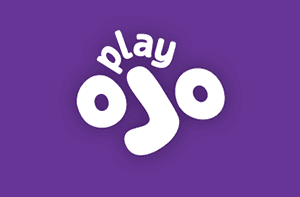 PlayOjo is a no wagering casino which means you get free wager spins as a reward and money back every time you play. Its excellent graphics and quick loading time also means it’s easy to get into the action. 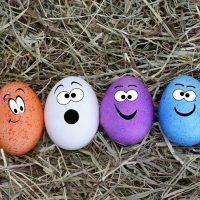 The mix of bright colours and smooth appearance means it’s easy to navigate your way around the site, and all you need to do to start playing a game is just to click, and away you go. If you need any advice or support, there’s a 24-hour support team, along with clear instructions and an FAQ section to keep you informed. Your first deposit will grant you a free spin for every £1 you deposit (with a maximum of 50 free spins) and can be used on a classic game like Starburst or anything else that appeals. You can deposit and withdraw easily, using credit, debit, prepaid cards, as well as eWallets such as PayPal, Neteller and Skrill. 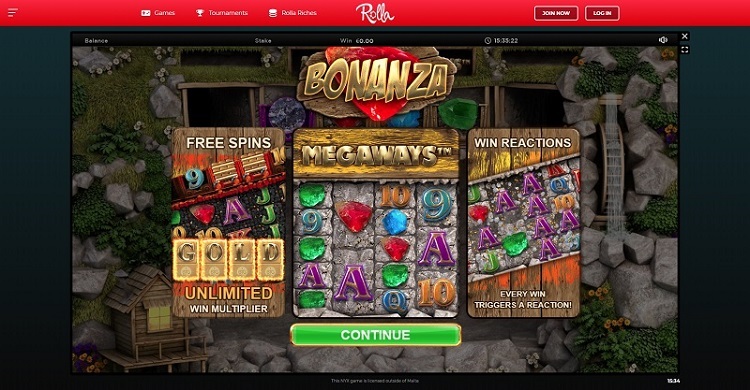 You can read our full PlayOjo casino review here. Grosvenor casino welcomes you with a bonus of 100%, up to £20, and there’s just a 5x wager requirement to get started with the offer. 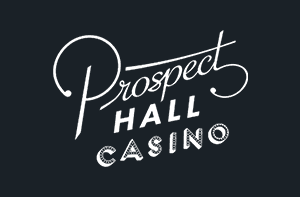 This refined casino replicates the classic IRL casino with a sophisticated set of graphics. You can still amuse yourself with classic games such as Rainbow Riches, Starburst, and progressive slows like Mega Fortune and Mega Moolah, set against the background of a high-rolling atmosphere from Grosvenor. But that’s not it, the site offers 16 hours of support everyday, and you can choose from live poker, video poker, live dealer and there’s even a sportsbook for added variety. It’s not surprising that they offer such a professional product given they have 55 bricks-and-mortar casinos across the United Kingdom. Their experience in real life translates into a smooth experience with their online offerings. You can use the usual payment options of Visa, Mastercard, Skrill, PayPal and Neteller, with an option for bank transfer too. There’s a minimum deposit of £5, minimum withdrawal of £10, and no maximum for either deposit or withdrawal, giving you the chance of an easy start on your way to potential success. You can read our full Grosvenor Online casino review here. A truly heroic offering from Yggdrasil Gaming, with Casino Heroes playable on any device, just like the rest of the casinos mentioned here. This is not your typical casino though, with unusual features such as an adventure map which allows you to take in different islands, setting it apart from regular casinos which might offer less imaginative presentation and graphics. It gets better, because you can get a bonus of 100% up to £50 to spend on over 500 games including Poker, Baccarat, Roulette and Blackjack. 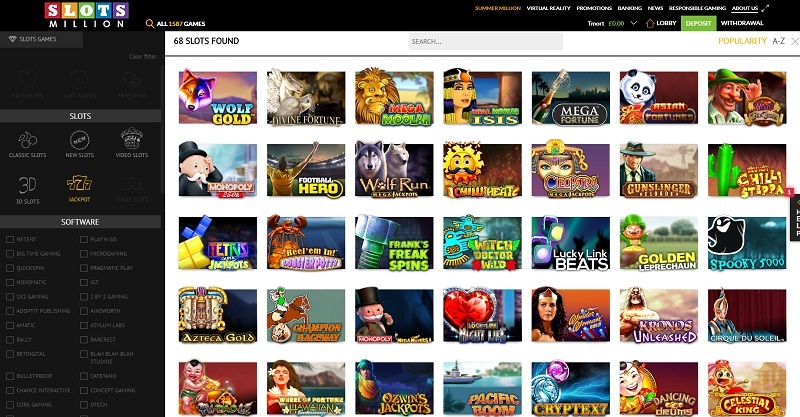 The casino is approaching five years old having been launched in 2014, but it still has some of the most recent slot games available. Their low deposits mean you can get started right away, with a first-time minimum deposit of just £10, with the withdrawal limit also set at £10. 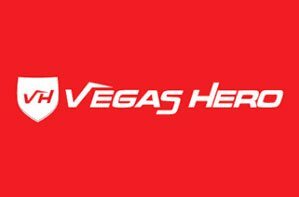 You can read our full Casino Heroes review here. 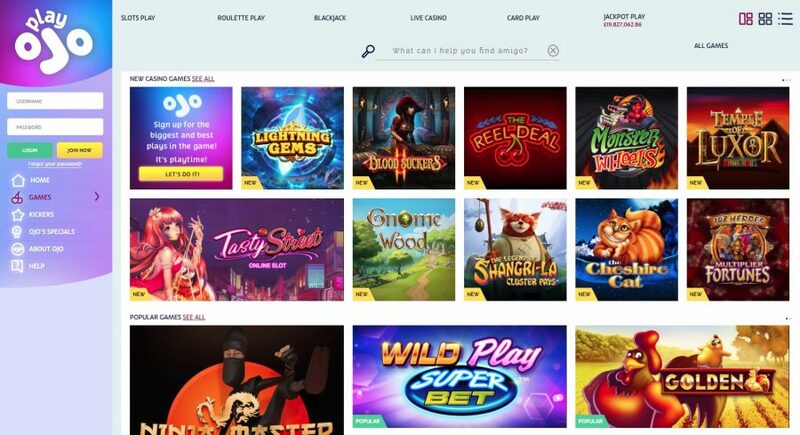 This is one of Yggdrasil’s newest online casinos, launched around two years ago in 2017. The site works on any device, from desktop to tablet, smartphone and laptop, and it has a comprehensive offering for you. 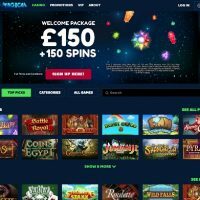 There’s constant support on live chat, telephone and email once you deposit, and you can claim up to a £100 welcome bonus as well as up to 100 free spins, which comes in handy to make the most of progressive slots like Mega Moolah Mega Fortune. A withdrawal of £30 means you can get through plenty of their more than 1,500 games with old classics as well as some undiscovered gems you may love but simply have not heard of yet. With such a huge amount of games to choose from, it helps that the design is easily navigated and easy on the eyes. You can use the selection tool on the site to drill down into your preferred categories for gaming to narrow down your perfect choice. You can read our full SlotsMillion casino review here. 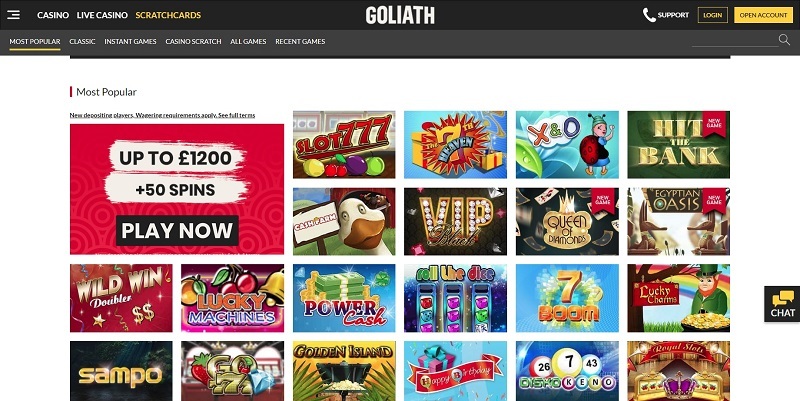 Goliath is an even younger and fresher site than SlotsMillion, having been established in 2018. However, the site does not lack anything despite its youth, with more than 350 games on offer to customers looking for excitement. 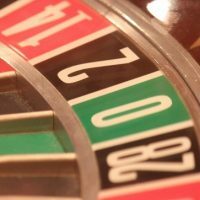 In addition to some of the most recognisable games you can find online, it offers its own live dealers for activities such as Baccarat, Roulette and Blackjack. The casino invites you to “a world full of generous bonuses, fun games, large jackpots and, last but not least, our Sportsbook.” There’s more than enough variety to keep you occupied. With a maximum withdrawal limit of £500,000, that’s a lot of games to get through before that becomes a problem. Once you’re through the loading screens you can enjoy the smooth presentation that lets you find your way to your favourite games. Goliath offers one of the widest range for payments and withdrawals, including Visa, Mastercard, Bank Transfer, Sofort Banking, Trustly, Skrill, Neteller, Giropay, Euteller, Zimpler, EPS, Paysafecard, Instadebt and Entropay. You can read our full Goliath casino review here.